Author: Clifford, Barry Set In . 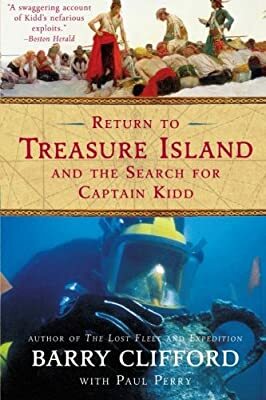 . .
Return to Treasure Island and the Search for Captain Kidd weaves together two exciting stories: the saga of Captain William Kidd, one of history's most baffling and mysterious figures, and Barry Clifford's obsessive quest to find perhaps the most notorious pirate ship of all time. The result is a tale of treasure and adventure that ends in death - both Kidd's and, three hundred years later, that of a rival archaeologist who attempts to stop Clifford's expedition.